Egypt manager Bob Bradley names his 25-man squad for the Qatar friendly in Doha on 28 December. 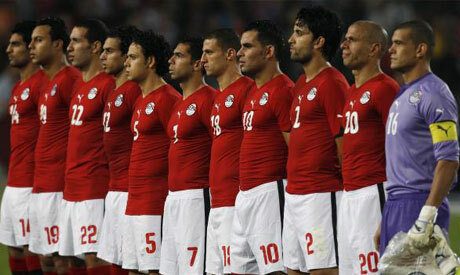 The Pharaohs will start a closed camp on 22 December, four days before flying to the Gulf country. Ahly players finally joined the squad after months of absence due to participation in CAF Champions League and Club World Cup. The winners of seven African Cup of Nations trophies will not play a competitive game until March when they host Zimbabwe in a qualifier for the 2014 World Cup. Strikers: Mohamed Ibrahim (Zamalek), Ahmed Temsah (Dakheliya), Ahmed Hassan Mekky (Haras El-Hodoud), Sherif Ashraf (FF Jaro), Mohamed Nagy ‘Geddo’ (Ahly), El-Sayed Hamdy (Ahly), Marawan Mohsen (Petrojet).